Mosaic Records was an important specialist jazz reissue venture set up by Michael Cuscuna and Charlie Lourie in 1983. 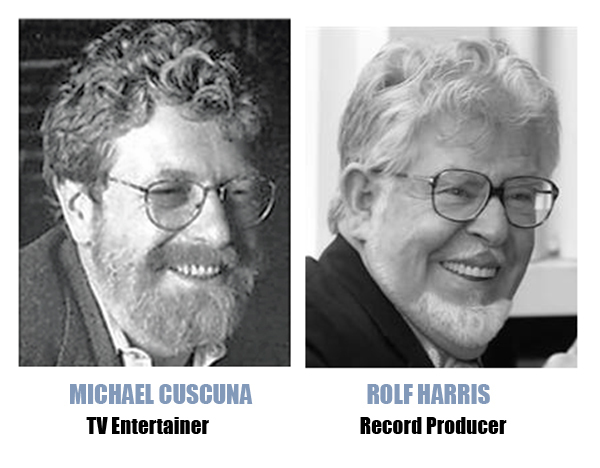 Since 1984, Cuscuna has been a special consultant, producer, and reissue director of Blue Note Records, providing him with “trusted ” status access to the vaults and original master tapes. Starting out with Limited Edition vinyl box sets, Mosaic now releases only CD limited editions. Limited Editions: when they are gone, they are gone. Out-of-print limited edition vinyl box-sets are sought after, especially as their condition is often near-mint. These are “audiophile quality” pressings on 110g near-silent vinyl and pretty high audio quality within the limitations of the original source. Some are remastered personally by Rudy Van Gelder. What does the future of recorded music look like? One of these two men thinks they know. Apparently we are wasting our time with vinyl, it’s dead. Will someone please break the bad news to the hi fi industry. According to Cuscuna the future is apparently downloads. Seems it’s not just vinyl lovers; disciples of The Evil Silver Disk are in trouble too. Japan seems to be made more of the right stuff – Atelier Sawano say they “seeks to preserve the sanctity of the ‘music album’ as a physical object”. That’s the kind of attitude I like, not Cuscuna’s Blue Note undertaker. Sawano manufactured this daring collectors reissue last year, though apparently no longer selling on their site. Got to love that deep groove, it’s so cute. I did buy a Sawano once, but unfortunately it wasn’t anything you would listen to a second time, very lack-lustre, but a pointer to other possible future directions if only someone can get the sound right. A while back I also acquired a 2x45rpm 180gm Analogue Productions so-called “audiophile” pressing. Also unfortunately, I eventually acquired the Blue Note original and the audiophile press doesn’t hold a candle to the real thing either. With all that modern technology, why does vinyl quality music production remain so elusive? We can we put a man on the moon; why we can’t we put an analogue studio tape recording on a vinyl disk? This entry was posted in Blue Note, Mosaic, Re-issue and tagged Blue Note, Michael Cuscuna, Mosaic, Vinyl Re-issues by LondonJazzCollector. Bookmark the permalink. It is a useful reminder there are some things even better than a record. Now where did I put the damn keys to my time machine? When my HiFi cost more than my record collection, I need more records. If the records collection is worth more than the Hi Fi, more, time to upgrade the HiFi. Ying and Yang, stuff like that. This guy has a beautiful Avid Acutus Reference, the whole set up must be over $100,000 maybe $150,000. What does he choose to put on it to play? Pink Floyd’s Dark Side of the Moon. Transports you straight back to … umm… 1973? The discussion was (partly) why are people buying less and what will happen to companies like MosaIc…I think people are buying less because many of the good products are priced too high for record buyers, even those who spend a fair amount of money on music….The only solution is a new and broader base of buyers. Collectors who are more interested in old pressings could help by purchasing the nice products that are currently in print, but as Atane said, that doesn’t happen as much as you might think. I agree with you Tim. Really, there needs to be some kind of diversification with titles. Original pressings are great, but they do nothing for growth within our niche. Essentially, it’s basically collectors buying & selling old records over and over again. The reissue programs need to take into account the big holes that exist in the audiophile world. Even something like the blues is woefully represented. Certainly, the blues will be accepted by older guys. It’s a barren wasteland on that front. A heavyweight like Howlin’ Wolf has almost nothing out there, apart from a pressing of the London Sessions. That is a crying shame, and it’s nuts when you think about it. I’m convinced that many an audiophile has never heard anything in the vast catalog of Muddy Waters outside of the warhorse title Folk Singer. In short, while collecting original pressings is fun, and it might be the preference of many, for this business to be viable, quality reissues and in print material should be the focus. And we should look beyond the tastes of people close to retirement age. I work in music as a writer and I do some concert photography. The people going out to shows/concerts the most are young people (35 and under). They’re the ones shelling out bucks for shows, and buying merchandise, so while people might think the music industry is dismal in terms of selling shiny round discs, people still care about music and pay for it. They just do it in different ways. These diehards are the people that need attention, not the people who want to buy another release of Miles Davis’ Kind of Blue. The bestselling LPs these days without fail are from the likes of Radiohead, The Black Keys, White Stripes, Arctic Monkeys, Dead Weather etc. Believe me when I tell you, their fans will buy a nice audiophile pressing of those. Limited edition White Stripes records already sell for what some original Blue Note titles sell for. There are a lot more of those guys willing to shell out the bucks than those looking for a first pressing of anything. And they are already buying the records now! Why does the hifi industry continue to ignore this built in audience? Maybe they just don’t know what is going on out there. I personally spend a lot of money on records. In my case I more often spend $25-50 on an original than a nice reissue–maybe it’s the other way around for others. I know that I used myself as an example earlier, but I meant my comments more broadly. To me this discussion is mostly about what we do moving forward as a whole, what happens to the music, and how will it be available. Nobody is buying? It may be less, but it’s certainly not nobody. If we’re talking about keeping things in print in a physical format, keeping the quality high, and getting more people buying on the whole….our good options are just too expensive and it excludes many who would be spending money on it otherwise. Thanks for your input Tim. I can well recall a time when I boasted I had never spent more than $15 on a record, and my T shirt, worn with pride, would have said “You say ‘cheapskate’ like it’s a bad thing” . In those days we had mortgages and kids – that took priority.I guess my house limit is a bit higher nowadays. Supply and demand is a terrible thing, when what you demand is in very short supply, and you have reached the stage of having all the low cost stuff. Personally, I blame it all on the HiFi. Without the hifi, I would probably still be listening to MP3 dowloads and those $15 French DMM reissues. But that is a different story. Sorry I’m late to this, but it’s important to discuss. …but it may not be as dire as some think. I’m no audiophile, but I’m learning about that and improving my system, and like Atane, at 32 I’m much younger than most people interested in this. The focus is certainly on the “warhorse” titles and the options for purchase comes up short for some consumers…. Casual music fans simply don’t care that much. They may download illegally, but many that I know primarily use itunes and spotify along with the occasional CD purchase. Those that like vinyl buy whatever they see in the $5 and under bin and have fun with it. I don’t think that much can be done about the casual music fan or downloader–there are already things in place for them to consume and enjoy (and steal if they want to) music cheaply and easily. I know several folks that actually spend more on music than they did before with itunes–they simply wouldn’t buy a CD before, but they will spend a few dollars on downloading music they want now. Where this gets interesting to me is the more serious music fan and record collector. These people will spend money on music they value personally. This is everything from vinyl fans spending good $ on vintage jazz LPs, to rock fans that buy a lot of new releases, to people that love their CD collection and continue to purchase new and used CDs today. Downloading, theft and all of that stuff has devalued music in general. I have seen that myself first hand as a musician, but again, people will pay for stuff that they value and things that have artistic weight. I believe that the audiophile reissue labels could take a couple cues from the rock world. Rock and pop vinyl releases are by no means cheap, usually $15-30, but I see people buying them every week at my local record shops–and they often include download cards, which is a big selling point to me in addition to the vinyl. I have several Music Matters (and one AP) reissues and they are very nice. I like some more than others, but they are very well done in all aspects. Where I have an issue is the price–the $50 is just too much for me, and I think that it may be too much for the general consumer/record collector/music fan. If I could buy nice (1LP) reissues by MM or AP or someone similar for $20-30 with a download (mp3 and/or higher rez would be nice) I’d be buying the whole catalog little by little. Also, the 2LP @ 45rpm thing is also not for everyone. It’s making the niche, of a niche, of a niche that it already is even smaller. It leaves too many people out. Doesn’t invite new buyers in and is out of reach of many who are interested. It’s like when CDs were $18 new, it turned people off and killed it. It’s very possible that I don’t fully grasp the financial side of it. Maybe the scenario I’m imagining just wouldn’t work, but I see folks spending money on music all the time. It seems to for work for some labels and genres to do both reissues and new releases on vinyl, and the quality can be high. Why are jazz records different? I’m hoping that excellent quality at a price that people can afford becomes an option. As a final note, I do love the Mosaic sets. I only have a couple as they are largely out of my price range, but I’m a fan and hope to acquire more…. On the other side, I’ve been buying some CDs again–nice titles for $1-$4 each and box sets that used to be $100 for $30. Great music for cheap–hard to pass up and it beats mp3s. Isn’t Blue Note already well served with the 45rpm album versions being issued by Music Matters Jazz and Anaolgue Productions? I personally, would like to see some more Pacific Jazz and Contemporary label sets on Mosaic. How about some Good Time Jazz releases? As well produced as Lester Koenig’s other label, Contemporary. However, the big stumbling block here is that its dirt cheap to pick-up first pressings by the likes of the Fire House Five, etc for next to nothing. Why buy a reissue box-set when you can source all those albums represented for a couple of bob on ebay for half the price of the new box-set? The sheer cost of Blue Note first pressings will always ensure there is viable reissue market, as cost effective alternative to paying top dollar for the originals. Whereas the likes of Pacific Jazz first pressings can be sourced comparatively cheaper than Blue Note. As you say, UK Contemporary Vogue are cheap and plentiful this side of the puddle. Mosiac have some great Art Pepper box sets but I need to crosscheck I don’t already have the individual LPs. I think I probably overdosed on Contemporary – too much Californian sunshine, blue sky, and Nappa Valley wine. 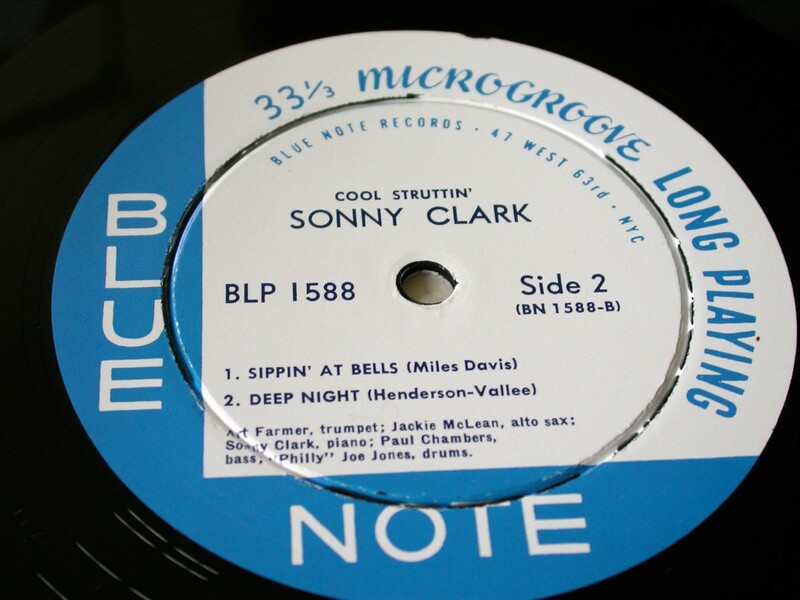 Nothing sounds as good to me as original Blue Note but they are becoming so hard to find – especially the hard-to-get titles I still hanker for.. They were never easy but so many has left our respective shores for Tokyo and Moscow, never to return. The Evil Silver Disk is not the answer, at least not for me. I think it is inevitable to look again at premium reissues. Gents, Mosaic is still producing vinyl sets and only recently issued the Stan Getz Norgran Sessions from 53-54 which is definitive. My understanding is that Mosaic have re-committed to limited vinyl releases on the basis of the well received and bought Thelonius Monk albums. All credit to Cuscuna, the Mosaic reissues over the last thirty years have been some of the best jazz box sets in terms of audiophile quality and breadth of content. Okay, I know we all prefer first pressings, but sometimes that is not possible for sheer cost and difficulty in sourcing and collecting the original sources. The mammoth Commodore record sets is a prime example, it would take a lifetime to source all the original 78rpms. Mosaic functions as a historical musical archive, but at the same time walks a thin line of not being a museum or charity outfit and has to remain a bonafide business or it simply will cease to exist. I believe, as part of its portfolio of products, there will remain vinyl box-sets being released. I at least hope so. That is good to hear hepcat! There is hope yet. Perhaps with his EMI/Blue Note hat on, Michael will license himself with his Mosaic hat on, to get more Blue Note unreleased material out – before the tapes all crumble (if they haven’t already). I have different iPods for Jazz, Classical and, yes, Rock too. I never enjoy sound quality on the first two and I’m not interested in sound quality for Rock. I admit it’s not amusing nor satisfactory, but I can have my loved music with me when I’m around the world. When I come back home, my dusty system plays my beloved monos and I’m happy again. Thank you both for an impassioned and errudite contributions. Was there nothing on TV tonight? I jest. I know my quality of life is mixed up with the quality of sound, I am sure yours. I believe the sampling rate of TESD (The Evil Silver Disk) was set according to the convenience of how much to fit on a disk – much as MP3 is tailored to minimise filesize at acceptable quality on an ipod. Neither of these decisions are based on optimising sound quality. I think there is a parallel in photography. Somewhere around a 12mb filesize, the amount of information held digitally overtakes that held by “analogue ” grains of silver in photosensitive emulsion of film. Firstly, I feel (as many probably do) that people who view the LP as an obsolete medium are mistaken. The LP (33rpm or otherwise) is still the only cost-effective way to mass distribute a highly accurate all analogue signal. As a format, it has evolved over the course of a century and it seems to me that at this point it’s not going to be superseded any time in the foreseeable future. Keeping that in mind, however, the question becomes whether an analogue audio signal (music, specifically) can ever be sufficiently digitally encoded and decoded in such a way that it is functionally indistinguishable from the original signal. Obviously there is much discussion with regards to this topic, most of it by people who understand far more about signal processing than I do. I personally believe that there is nothing ‘magical’ (for lack of a better term) about an analogue signal and that with sufficiently detailed and accurate encoding it should be possible to reconstruct the original analogue signal from the digital information to a degree that they would be practically identical for all purposes. Of course, proponents of the CD will argue that this has already been achieved. I certainly used to believe that until I started listening to LPs played back on a high end system. Misguided or not, I gradually concluded that I was hearing things I had been missing out on with CDs for many years. Initially, I believed that the root cause of this discrepancy was the difference between the analog signal of the LP and the digital CD, although I couldn’t really understand how that could be the case. Later, however, one of my friends suggested that I try recording the signal from the phono using more detailed encoding. I had a portable digital recorder which was capable of recording at 24bits/96kHz. To my amazement, when I played back the high resolution recording, I heard the same realism and detail I had been hearing from my LPs which I had found lacking in the CD counterparts. Could my preference be due to differences in mastering between the LP and CD or so-called euphonious distortion? As far as the euphonious distortion theory goes: I own a few LPs which I know to be sourced from 16-bit digital masters. If distortion on playback is the reason for my preference, than these records should exhibit the same desirable characteristics, but to me, they do not. Also, the euphonious distortion theory wouldn’t explain my preference for 24bit digital audio. As for mastering, I certainly can’t deny that there is almost always a wide variance in mastering when comparing CDs to LPs and higher resolution digital audio (especially when comparing, say, the new RVG series CD remasters with the original RVG-cut LPs). Since it’s always an apples-to-oranges comparison to some degree, it’s not easy to rule out this possibility. Certainly, I find some CDs sound much, much better to me than others. Moreover, every once and a while, usually after reading a particularly convincing technical explanation by a well-informed audio engineer of how the sound of the CD can’t possibly be improved upon, I will become convinced that I must be deluded. I very much which that CDs were the be all/end all in audio quality. I, like most people, have thousands and thousands of dollars invested in them and there are many of my favorite recordings which I can never hope to own on vinyl. Inevitably, however after a few days of CD listening, the thought runs through my head: “I wonder how this CD compares with original LP…” and out comes the record. So far, without exception, I immediately revert back to the world of LPs and higher resolution digital audio. In the end, my conclusion is that the key ‘Evil’ ingredient in the Evil Silver Disc is most likely the 16-bit sample rate (and potentially to a lesser degree the high frequency filtering necessitated by the 44kHz sample rate). There are plenty of technical explanations for this on the interwebs for those who feel so inclined, although none of them are widely accepted thus far. Of course, I will never be able to disprove that all of this is due to psychological factors such as confirmation bias, etc. but at this point in my listening habits I am confident about my preferences regardless of the reasons. I know what I prefer and no amount of technical argument is going to change the way things sound to me. If I’m delusional then I am content in my delusions. All of this leads me to the very interesting point that Atane raises with regards to the conservatism of the hifi/jazz market. It seems to me that if one accepts that higher resolution losslessly compressed audio (24/192kHz FLAC, for example) can approach or equal the quality of vinyl (which not everyone will, of course), I think the overall implications are very positive. Distributing FLAC files results in comparatively negligible overhead for releasing a new title. The only real cost is the cost associated with remastering for the new format which is far less than say, the cost of manufacturing the run of 2,500 3LP box sets (correct me if I’m wrong). As a result, it could become much easier for various remastering houses to release more titles giving them the opportunity to visit the work of more under-appreciated and obscure artists. Moreover, the problem of limited edition runs going out of print would also go away since digital distribution would allow any title to remain available indefinitely. I think this could also bode well for the issue Atane’s raises regarding peoples prejudice towards the ‘classic era’ of jazz (whatever that ends up being). Removing the overhead of manufacturing costs lowers the barrier to entry for new artists, reduces the risk incurred by record companies to signing new acts, and would permit distributers to carry a far wider variety of material. That’s what I’ve been saying over and over again. There is no such thing as digital sound. If the CD sounds lousy it may be due to the mastering. It has been said that if you like the specific sound of vinyl, the best idea is to digitize it, thus preventing the precious historical artifact from wear and tear. As I am saying this, I know exactly that this won’t do. Why? Because a true vinyl lover can’t do without watching the record rotating on a high end turntable while he’s listening. It’s perfectly OK, there’s nothing the matter with it. I am very familiar with all this. I am not saying vinyl is inferior. Never would I. But let us not make unrealistic claims and demands on a medium which it will never be able to meet. I’m afraid I’ll have to agree with Michael Cuscuna. I have no axe to grind here, as my primary listening method is via records. However, when it comes to jazz from the 50s and 60s, (which is what we’re talking about here, since most audiophiles rarely venture past 1965 in the jazz world, and that’s another topic altogether) there are several different camps, and all of them represent a faction that is so small, it can’t even be quantified. What Cuscuna did was primarily a labor of love. Without him, the revived interest in players like Tina Brooks and Grachan Moncur III would not have happened. Sales of his Mosaic LP sets over the years took longer and longer to sell, to the point where they had to abandon the vinyl sets and just issue CD sets because it was cost prohibitive, and even then, sales are still not what they used to be for even the CDs. People just aren’t buying anymore. That’s the sad truth. I was the marketing coordinator for a store that sold records, and I know this firsthand. There are various reasons why this is, but the big one is that the audiophile market prefers “warhorse” titles. They do. The listeners skew older and they just aren’t adventurous on average. It’s why there is always a new pressing of titles like Miles Davis’ Kind of Blue and Folk Singer by Muddy Waters. Many audiophiles continue to buy the same old stuff. Mosaic is a business that eschewed warhorses from the start as they for the most part uncovered neglected gems, unreleased dates and the lesser known work, even from popular musicians. They released sets from the musicians that people didn’t pay attention to like Tina Brooks, Carmell Jones, George Braithe etc. You as a collector vociferously address you prefer original pressings in your post, and original second pressings. Now, there is crossover in the collector and audiophile market, but when many of those potential customers don’t want the audiophile reissues, then how can the business model continue? It really doesn’t take a rocket scientist to see that once the current crop of audiophiles pass on, there are going to be big problems keeping interest as it’s the workhorse titles that are the big sellers with that crowd. There has to be a changing of the guard in the material released, and that includes venturing into this century for music. I’m a lot younger than many of the audiophiles I encounter, and talking about this earnestly brings up derision or condescending attitudes from them about “real music” etc. Naturally, what they like is the only thing that qualifies as “real music” or “real jazz”, and everything after a certain era is crap. The older they are, the farther back in years their cut off point for crap is. It’s fine for now, but they never seem to understand that their interests are not universal and that people who share their tastes are dwindling in number, not growing. Any sustainable business moves towards growth, and that is where downloads come into play. If audiophiles wanted to change the opinion of the Cuscunas of the world, they would have put their money where their mouth is and supported people like him without reservation. Not surprisingly, most of the mosaic vinyl sets that sold out are now going for ridiculous prices on ebay. Some of those sets took years to sell out. Some titles as few as 2500 pressings! It shouldn’t take years to sell 2500 pressings in a healthy market. People are a day late and a dollar short. Now you have to pay through the nose for them. As an aside, what 45rpm x 2 title did you purchase that disappointed you? I can say that my experience with the Music Matters 45rpm titles has been superlative. Vinyl revival chatter is all the buzz these days, but how many of those sales are of jazz titles that are over half a century old? Think about it for a second. Then when you factor in that despite the so called “revival”, vinyl sales are still tiny in comparison to everything else in the pie of overall music sales, it’s really no wonder why boutique labels like Mosaic aren’t releasing on vinyl anymore. A little long-winded, but I’m passionate about this. Congratulations Atane, I think you now hold the record for the longest post here, – but that is all to the good – passion needs writing out. The 2x45rpm I have Is Analogue Productions release (2009) of Grant Green Idle Moments. I can only describe the sound as “botoxed” . My original Blue Note is nautural, fresh, airy. The AP is thick and stodgy in comparison. It has tainted my view on audiophile reissues, but a lot of people swear by them, so they must be doing something right. A lot probably depends on what kit you are playing them on. The presentation on my kit doesn’t suit it. I hear what you’re saying about the business model. Standing back I imagine the majority of all music nowadays is illegal fileshares, and even among the strange people who pay for their music, the modern jazz afficionados are a speck in the ocean, no one is going to make money from us compared with chasing the youth demographic or the men in suits hunting for their lost youth. Cuscuna’s diagnosis is right about the mainstream, the mass,the economics of big numbers. But what the Blue Note founders did was out of passion, not the big numbers. They sold enough to get by. A business like EMI whose purpose is maximising return on shareholder funds are the wrong people hold these assets. We are a “niche”. Turntable manufacturers are a niche. Audiophiles are a niche. Niche is good. Niche has money to spend, unlike the downloading kids. Cuscuna has been in Blue Note coming up for thirty years. Perhaps once he had the passion, I don’t get any sense of it today. We are indeed a niche, and audiophile anything is a niche, but we still need to cultivate that niche, and that includes high quality downloads. If you go to audiophile shows like CanJam, lossless audio, DACs etc are the rule. This is where hifi is heading. We should embrace that. Young kids are already on the digital bandwagon, all we need to emphasize to them is that they can have quality downloads also. Couple that with affordable analog, then you have something viable. I’ll give you an anecdotal experience. In real life, I don’t proselytize hifi to anyone, I’m not one of those guys. However, I’ve been in situations where people talk about ripping their CDs in iTunes to mp3. Most people don’t even know that they have the option to rip in Apple Lossless within iTunes, so they get CD quality at least. Telling people this has been a revelation, and while they might not have hifi gear (yet), they already bought the CD in the first place. No one will eschew ripping their music in CD quality when they have the CD. Explaining in layman terms that mp3 is not CD quality is very easy to understand. I’m all about simplifying things. Like it or not, some of these people will make up the future niche in this hobby. At one point, every audiophile was this person before they got the bug. We need to go to where the people are, and meet them there. People buying 45rpm LP, original pressings, looking for ‘Van Gelder’ in the dead wax are converts already. No need to preach to the converted. As an aside, every time I look at the congregation, it gets older and older, not to mention the dwindling numbers. Part of it is music choice as well. That needs diversification there as well. Many audiophiles seem to think that jazz and classical are the only things recorded well. I think part of it might be their inherent bias against things they do not care for, which speaks more to their age, than the quality of the material.